If you are looking for the perfect gift for the gardener in your life, or some great wintertime reading to satisfy your own gardening fever – we have you covered with our list of 5 great gardening books! Wintertime to a gardener is filled with waiting. Waiting for the snow to leave. Then waiting for the temperatures to warm. And of course, waiting to get into the garden! 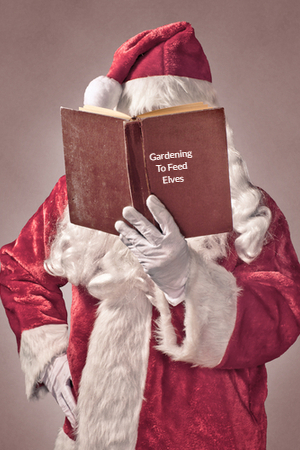 Even Santa loves to garden! What better way to help pass the time with a few great gardening books? It’s the perfect way for those who love to work in the dirt to brush up on a few gardening techniques. Or, perhaps to simply relax, and lose themselves and dream of warmer weather. Here is a look at 5 great gardening books that fit the bill! 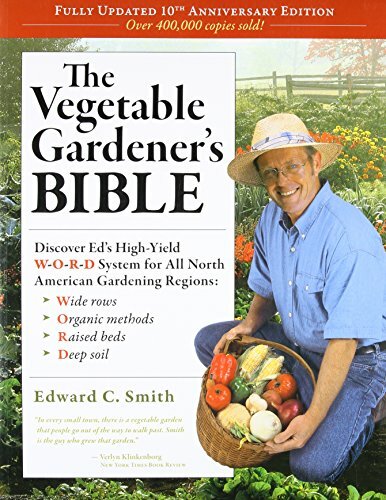 This book by Edward C. Smith is one incredible read when it comes to vegetable gardening! The Vegetable Gardener’s Bible is simply a wealth of gardening knowledge. From growing high yields of vegetables, to practicing safe and healthy organic principles, this book soars above others. Whether you have been gardening for years, or want to start your first garden ever, it is a wonderful read and a terrific resource. This classic gardening book was first published in 1975 and helped start the wave of organic gardening. Now in its 3rd edition, Let It Rot! has introduced countless backyard gardeners to the art and benefits of composting. Today, some 40 years after coming out, it continues to be used by gardening clubs, garden class instructors, and folks around the world as an incredible tutorial to backyard composting. This simplistic guide is perfect for helping transform kitchen scraps, leaves, plant material and more into nutrient filled compost. 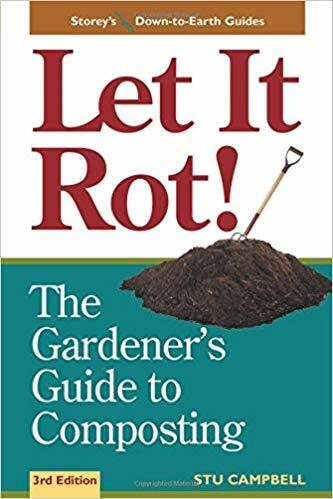 Easy to read, and quite humorous at time, Let It Rot is a great way to for any gardener to become a great composter. So why is there a chicken book listed in our list of 5 great gardening books? Because chickens make for an incredible garden! Raising a few backyard chickens will you to create incredible compost. To boot, they are an excellent weed seed killer. And if that isn’t enough, chickens are also excellent at keeping insect populations at bay. 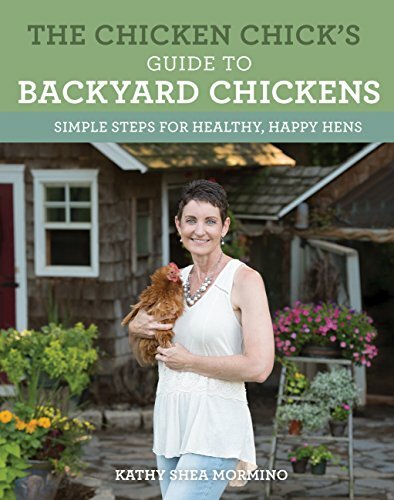 And this wonderful book by the Chicken Chick is the perfect resource guide to raising a little flock of your own! Much like chickens, bees are unbelievably important to the gardener. They pollinate our fruits and vegetables, and without them, food sources would be scarce. 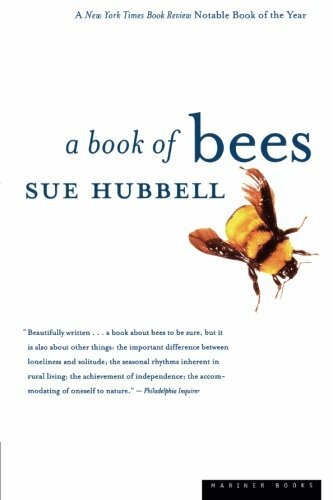 But whether you want to be a bee keeper or not, this incredible book by Sue Hubbell is simply captivating. Not only is it a wonderful guide on the ins and outs of raising bees, Sue weaves an amazing story of her own life and journey into the book as well. I first read the book years ago, and it was the single driving factor in wanting, and then finally having a few beehives at the farm. It is simply a wonderful wintertime read. Perhaps a bit of shameless self-promotion, but the Raised Row Gardening method really works to grow all of our vegetables! And judging by the emails, comments and reviews, it is working for thousands of others too! Raised row gardening is simply the answer to working smarter, not harder. Using simple organic methods such as compost, mulch and cover crops, you can enrich soil and keep down weeds naturally. All without ever touching a rototiller! No backbreaking overturning of the beds. No endless hours of weeding. Just simple gardening that works! 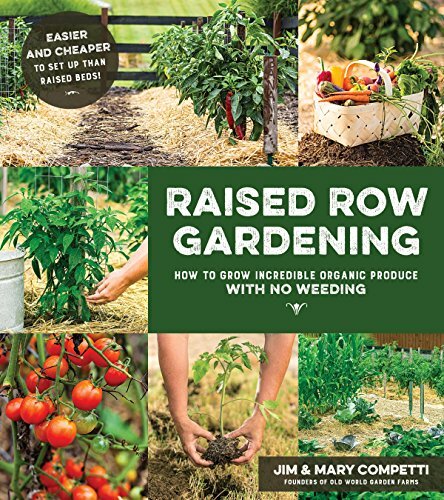 The book serves as a step by step guide of the entire raised row process, with planting and seasonal guides included as well. Well, there you have it – 5 great gardening books for winter reading – or that make the perfect Christmas gift! Happy Gardening and Reading! Jim and Mary. I have both of your books and they are truly an asset to this gardener!